So my friend turned me on to this Aztec Secret Indian Healing Clay which is calcium bentonite clay. It has many uses! I mostly use this as a face mask. For sore aching muscles, you can use it as a mud pack or even in your hair as a clarifying rinse or mask. If you look on Amazon, it has a BUNCH of 5 star reviews - but if you're like me, you would rather try and see for yourself! (Even though reviews are very helpful in decision making). It comes in powder form, so first you mix equal parts of the powder with Bragg's (preferably) raw unfiltered apple cider. In fact, I believe even Heinz is now making raw, unfiltered ACV. This has been my experience...first you have to get the consistency you want. I used to pile it on too thick, and it used to take forever to dry. So now I use a thin to medium consistency paste. I use an E.L.F. brush ($1 at Target) to mix and apply a smooth even layer on my face. You leave it on until it dries and during that time you will feel tingling and a lot of pulling. When you rinse it off, you will have redness for about 20-30 minutes after. So don't do this mask before you have to run out of the house...it's better to use at night! It feels super clarifying and it really deep cleans pores! It's so cheap, so it will last you a super long time! I really feel it has helped clear up my skin! And if I have any blemishes, it helps it heal faster. 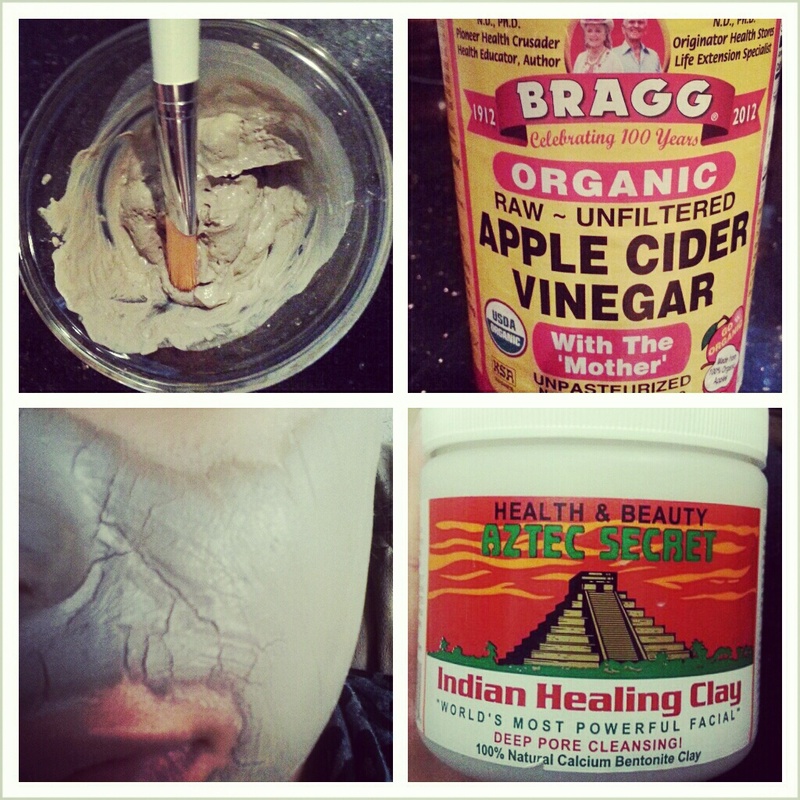 This is my favorite mask and will be part of my beauty regimen for years to come! So if you have problem skin or want a good clarifying mask, you should definitely TRY THIS! I wonder what it would do to colored hair? Revlon Colorstay - I Caved And bought It!